Pictorial-style, institutional bookplate showing sketch of columned building with landscape and surrounded by elaborate frame with D.A.R. emblem at top and text inset. 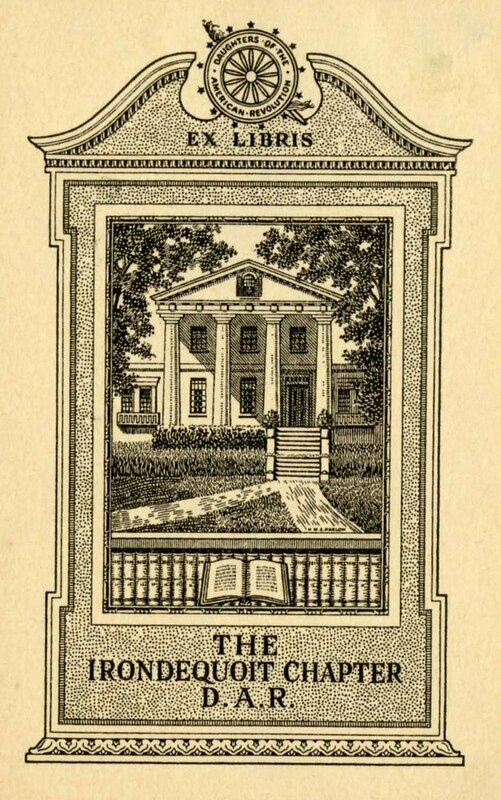 ~ Unknown, “Ex-Libris the Irondequoit Chapter of D.A.R. 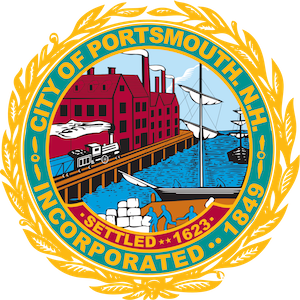 (Daughters of the American Revolution),” Portsmouth Public Library's Online Archives, accessed April 21, 2019, http://portsmouthexhibits.org/items/show/1817.